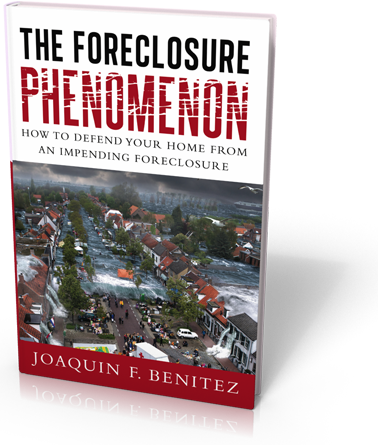 If you are going through a foreclosure proceeding, are struggling to make your mortgage payments or are being threatened to have your house foreclosed on, this book is your foreclosure survival guide. The Foreclosure Phenomenon puts foreclosures into the simplest terms possible. It offers new insight on foreclosures from the banks perspective and more importantly it offers struggling homeowners ideas and strategies that they can use to successfully defend their home from a foreclosure. You are given a clear overview on what a foreclosure is, how court proceedings are carried out, and most importantly how you as a homeowner can save your home from a foreclosure. This book offers you a step-by-step guide on what you need, what information you need to obtain and from who, who you need to talk to, what you need to do and what to do with all of this information you have collected. No matter what your current situation is, you can overcome the challenges faced in a foreclosure proceeding and succeed.